This follow-up brief recapitulates the foresight exercise of the “Foresight on Information Society Technologies in the European Research Area (FISTERA)” project. Six years after the project was concluded, we look back with the purpose of extracting key lessons learned and ask what the mid-term to long-term implications of this foresight exercise are, in particular how effective the FISTERA project was in feeding the findings derived from the foresight exercise into a process of strategic priority-setting in information society technologies at the European level. The central purpose of the FISTERA project was to contribute to creating a common vision and approach by 2010 for developing an enlarged Europe towards an information society. As a thematic network, FISTERA’s aim was to provide a European platform involving a wide range of national and European policymakers that, through a structured foresight process, could inform the setting of priorities by providing support for targeted R&D funding in specific areas of information society technologies (IST) and thus contributing to future IST policy and research in Europe. FISTERA was based on a combination of top-down and bottom-up approaches. “As part of the bottom-up approach, FISTERA focused on the analytical dimensions, making use of its findings to set functional, S&T and socio-economically driven priorities. The top-down approach concentrated on the normative, process-oriented dimension to identify and prioritise policy options, building on what FISTERA calls the ‘success scenario’ for the European information society.” (Compaño, R. et al., 2006: 7). (d) to provide inputs to the ongoing process of identifying key areas for research on which to concentrate public as well as private funding. The FISTERA foresight process was based on three components: (a) a technology mapping (i.e. a study of the main technological trajectories in IST), (b) a Delphi study and (c) the development of scenarios. Through the implementation of a Delphi study, FISTERA gathered inputs from a wide variety of stakeholders concerning which areas of IST applications they thought most likely to yield benefits in terms of the goals defined by the Lisbon agenda. The most outstanding result of the Delphi study was the strong focus on one particular application area, namely education and learning. Based on the findings of the Delphi study, FISTERA elaborated multiple scenarios in order to explore the plausibility of a set of diverse futures. For this purpose, various trends and countertrends and the ways they will likely interact in the future were studied. Four scenarios were proposed that brought together the S&T developments and fields of social application as a basis for dissemination activities. FISTERA was based on a ‘success scenario’ approach to examine the policy priorities required to produce the conditions for a desirable future in which the EU’s Lisbon objectives would be met as far as possible. The scenario-building exercise was aimed at providing options for a long-term development of IST for the economy and society. On the other side, FISTERA tried to match the socio-economic needs with future technological trends and the consequences of potential IST applications. Therefore, a technology mapping was carried out that provided a perspective on the technological trajectories of IST. Due to the systemic nature of information and communication technologies (ICT), however, it was not possible to monitor the whole range of IST trends and provide prospective assumptions concerning the application and use of single technologies in the future. Instead, the focus was placed on clusters of technologies with similar functions while, at the same time, these clusters included competing and complementary technologies. 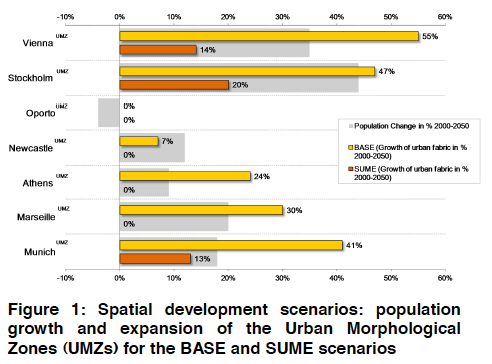 The forward looking assessment of the evolution of these clusters was used to identify ‘technology trajectories’. The identification of a ‘technology trajectory’ followed a number of steps. First, a trajectory had to be defined. Then, information about individual ICT contributing to this particular technology trajectory needed to be collected, and this information had to be linked to the expected evolution of the trajectories. In a third step, the individual technologies were linked to possible applications and services. The overall aim of this procedure was to identify particular technologies with the potential to influence the future development path of other technologies. In order to identify emerging patterns of relationships between technologies, a specific algorithm was used that analysed the strength and pattern of the link of a particular technology with other technologies as a function of time. Through this method, FISTERA was able to identify patterns of ‘technology attractors’ as well as trends of ‘technology disruptions’ and relate them to time horizons. Some of the ‘technology attractors’ identified through this method were the following: (a) Batteries that are expected to have a profound influence on the evolutionary progress in many fields of IST. (b) Progress in bandwidth, understood as the transmission capacity at access level (rather than the network capacity on backbones), which will likely stimulate the advance in both optical, optoelectronics and electronics. (c) The growth of storage that will likely drive the creation and development of completely new industries. (d) Embedded systems that have been identified as the most crucial field for the future evolution of the overall market. (e) Information semantics that will act as an attractor technology with a profound influence on changes in the field of information value since it results from the merging of storage, computation and communication. (f) Developments in radio propagation that are expected to work as another attractor through the stimulation of new businesses and new applications. (g) Micro kernels and ad hoc protocols that are expected to have a stimulating effect on the evolution of communications infrastructures and the creation of new business opportunities at the edge of network structures. With the help of the ‘technology trajectories’ concept, some of the technologies have been identified as being ‘disruptive’, meaning that their impact would be conducive to profound changes in technological systems as we know them today. The ‘disruptive’ potential of technologies may for example result from (a) the convergence between a number of diverse technological trajectories, (b) the shift from products to services, (c) the disappearance of the personal computer, (d) ubiquitous seamless communication, (e) changing traffic patterns, (f) unlimited bandwidth, (g) disposable products and (h) the shift from content to packaging. (a) FISTERA generated valuable input that helped to identify and make transparent why some fields in IST research are more appropriate as priorities for the European Research Area than others. (b) FISTERA helped to identify functional requirements that need to be met to translate these priorities into reality in the context of the European Research Area. (c) FISTERA helped to identify the building blocks for consistent priority-setting. In this sense, the foresight process fulfilled an important function in legitimising public policy intervention in the field of IST research in Europe. Although FISTERA did not embark on a comprehensive analysis of specific policy interventions to stimulate research in particular priority areas, the identification of promising technological trajectories in the field of IST was an important step towards investigating the future European positioning within these trajectories. FISTERA also prompted complementary action at the level of the member states by giving impulse to several follow-up foresight initiatives at the national level. For example, Austria (Foresight on Information Society in Austria – FISTA), and Hungary (Information Society Technology Perspectives – IT3) used the FISTERA approach to develop national IST foresights. We can therefore conclude that FISTERA not only contributed to establishing foresight for forward looking IST priority-setting at the European level but that it also inspired foresight practitioners at the national level. However, with regard to the translation of the findings from the FISTERA foresight into priority-setting at the European level, there are also some lessons to be learned that might improve the efficiency of future foresights aimed at inspiring priority-setting processes at different levels. (a) The implementation of the FISTERA foresight process was based on inter-disciplinary teamwork. The sub-optimal integration of the different skills and perspectives towards the broad area of IST was due to a lack of a coherent joint framework able to accommodate these interdisciplinary differences. Future projects should have a stronger focus on embedding inter-disciplinary foresight teams in a more coherent framework for collaboration. (b) The insufficient integration of the technology-centred and the socio-economically-centred contributions were a methodological weak point of the FISTERA foresight. This might have created a bias towards promoting certain emerging technological paradigms and may have operated at the expense of devoting more attention to certain societal challenges that should not be neglected in priority-setting in practice. (c) The interviewees indicated that since scenario development was very much on the macro level, priority-setting (in particular with a view to individual technological fields) was very difficult. Therefore, a better linking of the components of the foresight process to each other (in particular the technology mapping and scenario development) might improve future foresight initiatives in this field and help formulate more targeted priorities. (d) It was further mentioned that the identification of thematic priorities was very difficult to translate into priority-setting in practice because technologies were clustered and no specific areas were focused upon. The dissemination of the results of the FISTERA project was facilitated through various communication channels. The organisation of national road shows and communication papers contributed greatly to the broad dissemination of the project results to a variety of audiences. Although a book (Compaño et al., 2005) was published, according to a member of the FISTERA consortium, the transfer of the findings to high-level academic audiences remained behind its actual potential. Although FISTERA did not embark on a comprehensive analysis of particular policy interventions to support research in specific areas of priority in the field of IST, the interviews emphasised that the results of the foresight process provided important impulses to sharpen the perception of EU policymakers. According to one interviewee directly involved in FISTERA, an important accomplishment of the foresight was that it opened a debate on ICT in Europe towards a more multidisciplinary view and thus contributed to improving the framework conditions for a European dialogue about the future of ICT and ICT policy formulation (Pascu et al., 2006). Another interviewee who had knowledge of the internal decision-making processes within the EU Directorate General Information Society and Media (DG INFSO) stated that the results of the FISTERA foresight informed several initiatives that figured prominently in the work programme (for example Assisted Ambient Living). Furthermore, it appears that FISTERA reached the policy level through direct interaction with the European Commission and its core advisory groups in the field of IST. There is no doubt that FISTERA had an impact on institutions that were directly or indirectly involved in European ICT policy formulation (Pascu et al., 2006). According to one interviewee, FISTERA’s impact was tangible on the policy level as reflected in the work of the IST Advisory Group (ISTAG), which is the most influential industry-oriented expert group advising DG INFSO on the IST programme. Furthermore, the same interviewee indicated that all decision-makers on IST issues in Brussels were exposed to the FISTERA results. In some sense, the FISTERA results also “paved the way” for subsequent projects, such as the PREDICT (Prospective Insights on R&D in ICT), which are still running today and provide inputs for policymaking at DG INFSO. FISTERA results also proved to be relevant to several European think tanks. However, foresight exercises are most successful whenever decision-makers go beyond the mere role of receivers of end products, such as reports on future scenarios, and become an integral part of the foresight process. In this sense, one interviewee stated that FISTERA failed to develop into an operational network for the interaction among different communities that hold stakes in the formulation of European IST policy development. The FISTERA foresight marked an important milestone in counteracting forward looking perceptions based on technological determinism in the field of IST, which fail to provide an adequate perspective of technological futures. The timing for the establishment of a pan-European platform was favourable as foresight tools for priority-setting are proliferating, although it was stated during the interviews that FISTERA stayed far behind its set goal to establish a pan-European community concerned with IST futures. Nevertheless, FISTERA’s contribution to creating a European vision for IST has been an important first step towards establishing a discussion platform for IST foresight from a European perspective. Nonetheless, continued efforts to communicate the evolving European vision with ongoing priority-setting efforts in IST at the national level will be necessary. In this sense, it remains to be seen how the technology trajectories that have been identified by using the concept of “technology trajectories” will relate to forward-looking priority-setting exercises both at the national and at non-European levels. In light of the ERA’s increasing multilateral cooperation initiatives in particular, European priorities need to be related to the priorities of other regions of the world. 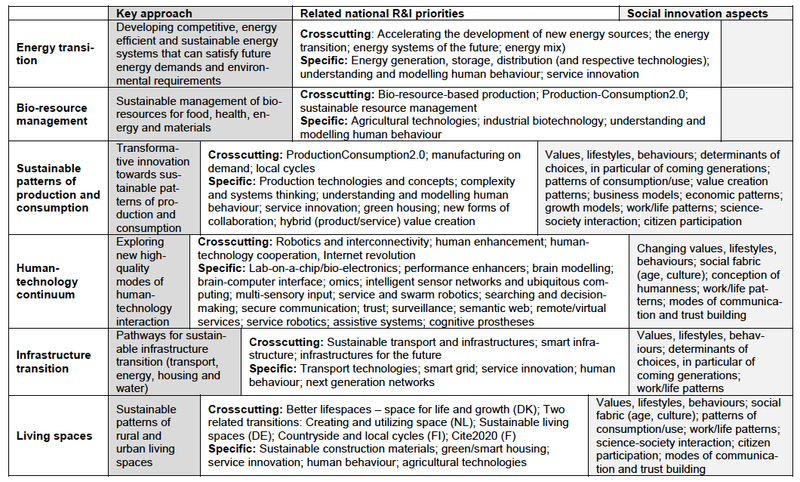 Based on the findings of the FISTERA foresight process, possible priorities for European IST research were identified. Foresight, however, can do no more than inspire the priority-setting process. It can help legitimise policy interventions in emerging fields, but it cannot anticipate concrete technologies that should be the recipients of targeted funding activities, and it should not generate expectations among policymakers that it can do so. Compaño, R., C. Pascu, M. Weber (eds.) (2005), Challenges and Opportunities for IST Research in Europe, Bucharest: The Publishing House of the Romanian Academy. Compaño, R., C. Pascu, J. C. Burgelman, M. Rader, R. Saracco, G. Spinelli, B. Dachs, M. Weber, S. Mahroum, R. Popper, L. Green, I. 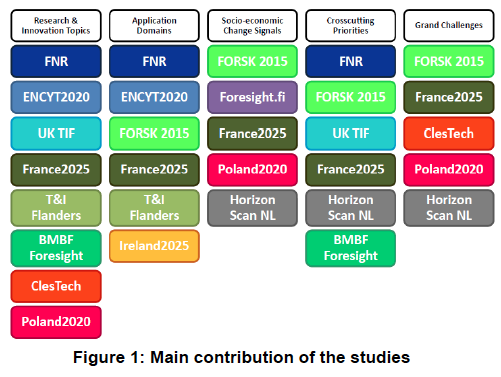 Miles (2006), Foresight on Information Society Technologies in the European Research Area (FISTERA) – Key Findings, Luxembourg: Office for Official Publications of the European Communities. Pascu, C., J. C. Burgelman, L. Nyiri, R. Compaño (2006), Foresight on Information Society Technologies: Lessons Learnt for Policy Intelligence Building in Europe, Second International Seville Seminar on Future-Oriented Technology Analysis: Impact of FTA Approaches on Policy and Decision-Making, Seville, 28-29 September 2006. 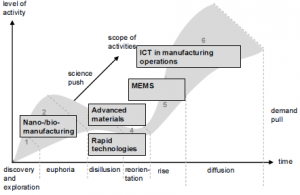 Weber, Matthias (2006), “FISTERA – Foresight on Information Society Technologies in the European Research Area 2020”. EFMN Foresight Brief No. 9. 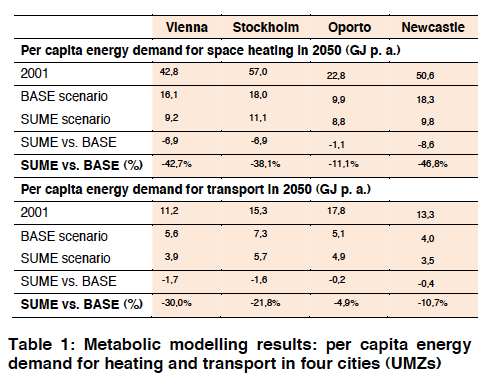 Online at http://www.foresight-platform.eu/wp-content/uploads/2011/04/EFMN-Brief-No.-9-FISTERA.pdf. SANDERA (The Future Impact of Security and Defence Policies on the European Research Area) explored the future relationship between two critical policy domains: namely, the EU strategy to move towards the European Research Area (ERA) and those EU policies focused on the security of the European citizen in the world. More particularly, SANDERA investigated the possible future relationship between the ERA and defence research and innovation policy.